Members of the STANDING FIRM Advisory Council come from all segments of the regional business, safety, and nonprofit communities. They are passionate about ensuring that Southwestern PA has a workforce that is healthy and workplaces that are conducive to the most effective delivery of products and services. Their caring commitment to the employer community enhances the strategic vision of STANDING FIRM and broadens its impact on the community. 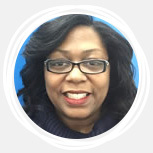 Monica Alston, Operations Supervisor for Peoples Gas, has over 28 years of extensive customer service experience with diverse companies. Monica started her career with AT&T Communications, a Fortune 500 company. Over her 18 years at AT&T, Monica developed her business knowledge and team building skills within the International, Residential Local and Long Distance Consumer Sales and Service divisions. Later, Monica transitioned into the utility sector and began a career with Equitable Gas and now Peoples Natural Gas. Currently in her 10th year in the utility sector, she works to provide world class customer service by project managing outsource vendor companies and developing internal customer service teams. Over the years Monica participated in special assignments, which included establishing and implementing several new call center environments on and off shore. She also partnered with Human Resources to interview, hire and train company employees for AT&T, Equitable Gas and Peoples Gas. In addition, she assisted with union and company contract negotiations. Monica is the co-chair for the Women with Energy committee at Peoples Gas. Maurita currently serves as Assistant Superintendent for the Allegheny County Police Department. The former Assistant Chief of Investigations for the City of Pittsburgh’s Bureau of Police, Maurita spent 39 years in law enforcement with the Bureau, 23 of which were in a supervisory capacity. Maurita began her career in law enforcement in 1977 as a recruit and served in various other assignments before moving into leadership positions in the Bureau. 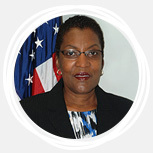 She is affiliated with the International Association of Chiefs of Police, the National Organization of Black Law Enforcement Executives and the Western Pennsylvania FBI Academy. Maurita holds a Master’s of Administration of Criminal Justice and a Bachelor’s in Criminal Justice, both from Point Park University. She has also received training from IACP Leadership in Police Organizations, Virginia Center for Policing Innovation, the Police Executive Research Forum and the Justice and Safety Institute, to name a few. Sandra is the retired Senior Director for UPMC Life Solutions. With more than 25 years of experience delivering employee assistance program services. She led a staff that provides EAP services to more than 200 employer groups. 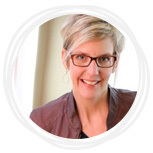 Sandra provides leadership coaching and organizational consultation. 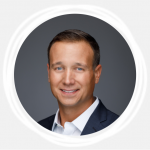 Richard brings more than 25 years of business leadership and consulting experience to his clients and their organizations at Citrin Consulting. 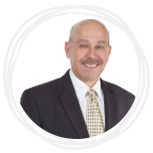 As an organizational consultant and executive coach Richard has worked with many large and small organizations, and is the exclusive provider of executive coaching services to Leadership Pittsburgh. An active community volunteer, Richard serves on the boards of arts and human service organizations and the planning commission of O’Hara Township. Kiersten Crosby, Managing Director of HR Service Delivery for FedEx Ground, has over 15 years of experience in employment law and human resources. In her current role, Kiersten’s strategic leadership responsibilities fall under the areas of talent acquisition, performance management and development, and employee relations. She earned Bachelors of Science Degrees in Psychology and the Administration of Justice from the University of Pittsburgh, and a Juris Doctorate from Duquesne University. Valerie is a results-oriented entrepreneur, investor and start-up business advocate with a proven track record in building profitable businesses for more than 20 years. Valerie earned a BA from Dickinson College in Carlisle, PA. She founded her first company, Capital Growth, Inc. (CGI), in 1994 as a venture capital data and information publishing company and has bought and successfully sold several small and medium sized business properties over the last several years. Valerie co-invests with various investor groups including Hivers & Strivers which focuses on investing in and mentoring start-up companies run by U.S. Military Academy graduates. She served as President of the Pennsylvania Angel Network, Director of the Private Investors Forum, and is Founder of the Angel Venture Forum. In her spare time she races sailboats on the Chesapeake Bay. She is currently running for the Pennsylvania State House of Representatives District #44 (Allegheny County) to be a strong advocate for Pennsylvania entrepreneurs and innovators. 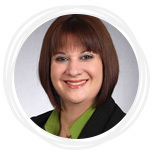 Patricia is a Senior Manager at Schneider Downs & Co, Inc. Patricia has over 14 years of experience in the accounting profession serving a variety of industries. She earned her Bachelors of Science in Business Administration Degree in Accounting from Clarion University and is a licensed CPA in the state of Pennsylvania. 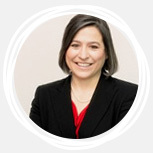 In her current role, Patricia is responsible for audit, compliance, and consulting engagements for her clients, staff training and development, and is a speaker on various topics in the accounting profession. 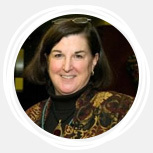 Patricia also participates on the finance committee for Women in Economic Development’s (WELD) Pittsburgh Chapter and serves on a committee for HEARTH. 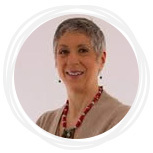 Janet has over 20 years’ experience in technology, particularly in consulting and human resources. 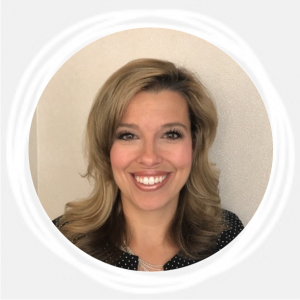 She earned her Master of Adult Education at the Pennsylvania State University and is a certified Leadership Architect from Lominger-Korn Ferry. Janet is active in the Sunset Valley PTA, Calvary Baptist Church and the Pittsburgh HR Association where she previously held several different Executive Committee positions. Kit is an Entrepreneur-in-Residence at Project Olympus (Center for Innovation and Entrepreneurship at CMU), where she provides start-up advice, business strategy planning, and connections to industry experts, advisors and the business community to student and faculty startups. She is a member and technical advisor to BlueTree Allied Angels and serves on the Screening Committee. Kit is an Advisory Board member of Chatham University’s Center for Women’s Entrepreneurship and adjunct faculty in their MBA program. She also provides consulting services to promote economic growth to Chambers of Commerce, individual entrepreneurs and non-profit organizations. Michael is currently a Senior Principal at West Monroe Partners, a business and technology solutions driven consulting firm. His prior work experience includes 13 years in various executive leadership roles with Giant Eagle in operations and with their continuous improvement department. 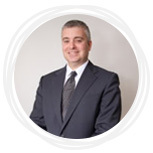 Michael has a degree in Industrial Engineering from Pennsylvania State University and spent time working as a consultant with H.B. Maynard and Co. prior to joining Giant Eagle. Michael also is a Board Member of the Michael J Crawshaw Memorial Fund. Lauren Rauscher, PhD, is a champion of gender equity and has devoted her career to supporting women and girls optimize their full potential and build leadership capacity. She currently serves as the Director of the Women’s Leadership and Mentorship Program and an Associate Professor of Sociology at Robert Morris University. Lauren has invested over ten years building and leading high-impact initiatives focused on equity and social justice in higher education and the nonprofit sector. Her research and teaching focuses on the ways in which gender intersects with race and ethnicity to form patterns of inequality and privilege, and she has been recognized with multiple awards for outstanding teaching, service, and advocacy at Emory University, California State University-Long Beach, and Robert Morris University. Lauren brings her skills and passion for building sustainable social justice initiatives to board service with various nonprofit organizations. She has served in executive leadership positions at Girls on the Run of Los Angeles County, Girls on the Run-Magee Womens Hospital of UPMC, and Pittsburgh Center for Creative Reuse. William Ries is UPMC Health Plan’s Senior Director of Government and Industry Relations. In this role, Bill is responsible for building relationships with government leaders and managing UPMC Health Plan’s presence in Harrisburg, PA. Prior to joining UPMC Health Plan, Bill served as Director of Government Relations for PPG Industries. He also worked in Washington, DC as Chief of Staff to a member of the House Ways & Means Committee, and in Harrisburg as the Executive Director of the Pennsylvania Senate Finance Committee. During this time, Bill was involved in several conference committees and negotiating groups to enact state budget, property tax, business tax, and purely public charities legislation. Bill received his undergraduate degree from Dickinson College in Carlisle, PA, and is a veteran advocate of several political campaigns, including congressional and presidential elections. He resides in Wexford, PA with his wife and three sons. 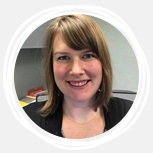 Megan Rose serves as the Director United for Families with United Way of Southwestern Pennsylvania. 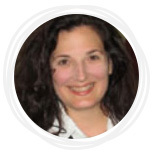 Megan is a licensed attorney with experience in nonprofit management and a passion for policy. Prior to returning home to Pittsburgh, Megan was the Director of Strategic Initiatives and Public Policy for the Chicago Metropolitan Battered Women’s Network, a coalition of service providers in the Chicagoland area serving survivors of domestic and sexual violence. She earned an undergraduate degree in Journalism from Ohio University and Juris Doctorate from the University of Toledo College of Law. She resides with her family in the Highland Park neighborhood of Pittsburgh. 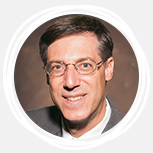 Brian is president and CEO of the Jewish Community Center (JCC) of Greater Pittsburgh. He has served as campaign director for the Jewish Federation of Greater Pittsburgh, and also worked at the Associated Jewish Charities of Baltimore, Md. ; the Jewish Community Center of Baltimore; and the National Labor Relations Board. Brian is a licensed social worker and received his Master of Social Work degree from the University of Maryland. Kevin is a recognized expert in the security industry with an established reputation for excellence and a proven history of creating and developing unique strategies to reduce risk, protect assets, and drive down loss. 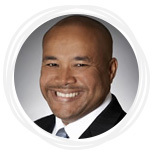 After a long career in public service Kevin joined the public sector where he was Senior Vice President, Midwest Regional Director of Risk Control Services and Security Risk Consulting Practice Leader for Willis Towers Watson. After 10 years at Willis Towers Watson, Kevin has recently been hired by the Pittsburgh Cultural Trust as the Chief Security Officer (CSO) to safeguard the guests, staff, properties, events, and brand of the Pittsburgh Cultural Trust. In addition, Kevin has also been recently retained as an Associate Security Representative/Consultant by the National Football League (NFL).